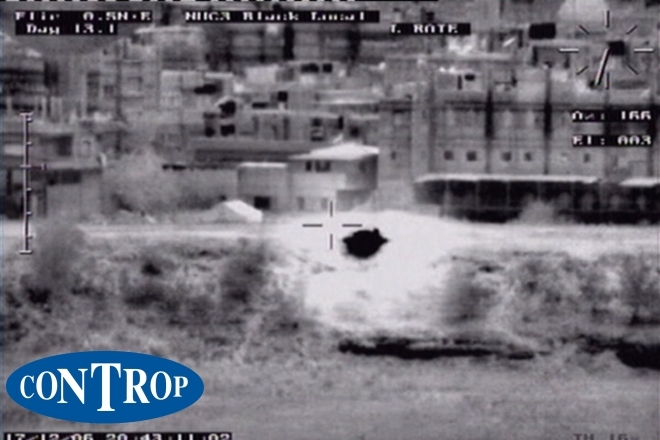 CONTROP has launched the FOX 1200mm and the FOX 1400mm Thermal Imaging (TI) Cameras for very long operational ranges. These new products join the FOX Family of Cooled Thermal Imaging Cameras – ranging in size from 250mm focal length through 1400mm focal length – all of which are well known worldwide due to their unique Continuous Optical Zoom Lens as well as other unique features such as Local AGC (Automatic Gain Control) and advanced image processing. In addition, CONTROP provides Uncooled Thermal Imaging Cameras with unique Continuous Optical Zoom Lens and miniaturization. In this range, CONTROP offers Fixed Field of View (FOV), Dual FOV and/or Continuous Optical Zoom FOV, with a variety of focal lengths such as 60mm, 120mm and 180mm. Through an agreement with a major Indian PSU, CONTROP recently launched an extended I-Level Intermediate Maintenance Level (IML) Laboratory to ensure local maintenance and optimal operation of CONTROP equipment in India. This new FOX-1400 TI Camera has a 1400mm lens with x35 Continuous Optical Zoom lens. This provides exceptionally long range target acquisition and observation, with unmatched superiority in the world of night vision! The new FOX 1400 has already been supplied as part of the SPIDER LR system to several modern customers as part of a long range observation system for coastal protection and surveillance. The FOX family of thermal imaging cameras includes – FOX 250, FOX 450, FOX-600, FOX 720 and FOX-1400 - all including the Continuous Optical Zoom Lens which has a tremendous advantage over the traditional thermal imagers with incremental zoom capabilities. The FOX continuous zoom feature provides a smooth transition between the various fields of view and ensures eye contact with the "target" through the entire zoom magnifications as well as during video tracking. The improved Image Processing algorithms, including a unique Local Automatic Gain Control (LAGC), enables a high quality image even when there is a “hot spot” in the picture (an explosion, fire, etc). Furthermore, the FOX cameras can be integrated with other systems through their standard communication protocol. The FOX Thermal Imaging Camera is available with or without an enclosure, so that the camera can be used for higher assembly level systems, by installation in the Customer's payload or operated as a stand-alone system.